In 1988 AFN at the Falcon Works at Isleworth became wholly Porsche owned. John Aldington (JTA) had until that point been Chairman of Porsche (GB) Ltd, and when he left he took with him all the Frazer Nash related historical documents, photographs, memorabilia, etc. that had been built up since 1924. This collection, that had to a great degree been amassed by his uncle, Bill Aldington, formed the basis of what is today held by the Frazer Nash Archives. A home was required for the material and, initially, the idea was for it to reside at the Brooklands Museum which was then in the making. The Brooklands track had been a veritable home-from-home for Frazer Nash cars and people until its closure in 1939 when war broke out, and was therefore considered the ideal place. The Frazer Nash Group (formed from the various small engineering concerns of Capt. Archie Frazer-Nash) and AFN Ltd agreed to support the formation of a permanent Frazer Nash Exhibition at Brooklands, but the recession eventually put paid to this plan so an alternative had to be found. Some years previously, John Aldington had asked his great friend and well-renowned motorsport journalist Denis Jenkinson, known to everyone as ‘Jenks’, to write the story of AFN. Having the wonderful resource of the historic Frazer Nash material to hand greatly aided this process. Jenks not only had a prodigious memory but also made constant notes on every aspect of motorsport. He set about putting the mishmash of documents, photographs, etc. into order and was able to match even the most obscure references that would have been missed by most other individuals at that time. ‘From Chain Drive to Turbocharger’, the story of AFN Ltd. was published in 1984. There are currently a few Frazer Nash items on display at the Brooklands Museum on long-term loan. 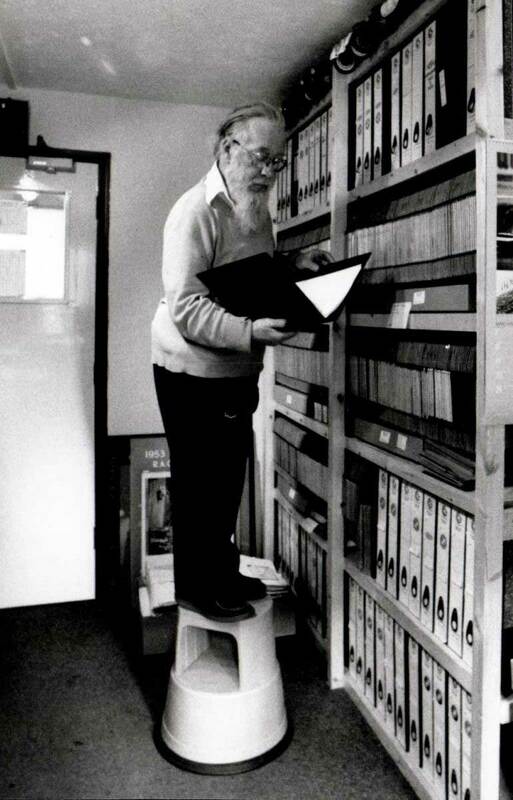 However, thanks to the generosity and foresight of John Aldington, The Frazer Nash Archives is now permanently housed in premises in Henley-on-Thames.